Book in One Word: WHAT. What. Did. I. Just. Read. This review shall be interesting, for I have no idea how to review We Were Liars. I could tell you what the Sinclairs ate for dinner and it could be a spoiler. The littlest thing could spoil this book. I JUST DON'T KNOW. "We looked at the sky. So many stars, it seemed like a celebration, a grand, illicit party the galaxy was holding after the humans had been put to bed." Let's start here: There's an island. (I think it's by Martha's Vineyard or something, so I don't know, but WEALTHY.) Every summer the Sinclair family stays on this island--their island: Grandpa and Grandma, their three daughters, and their daughters' children. (Don't ask me who's who, because I got them mixed up kind of often.) Of the grandchildren, three are called the Liars: Cady, Johnny, and Mirren. And then Gat, the nephew of Johnny's mom's longtime boyfriend, makes the Liars four. I don't know why they're called the Liars, but, well, a lot of the people in this book are psychotic. "It is not mysterious to be home on a Saturday night, reading a novel in a pile of smelly golden retrievers." 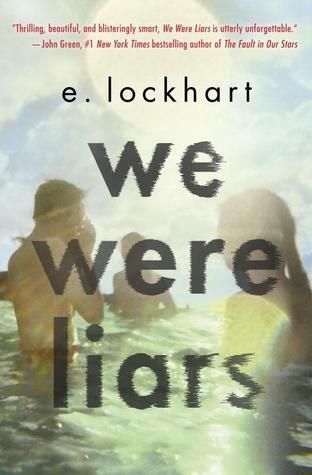 We Were Liars is told from the POV of Cady, with flashbacks to the past and present. She lives with her mother (her father left them). Her mother and two aunts all want Daddy's money, because that's what they live of off. (Fortunately for Cady's mother, Cady is the oldest grandchild so she's the heir to the Sinclair fortune.) The Liars don't really care about this, but the aunt's are all over it, because MONEY and THINGS and that's what they care about. "It's just a house. Lots of houses seem scary at night, but in the morning, they're friendly again." Am I telling you too much? I don't really know. On this island things happen. Some things are good and some are bad, while others are romantic and others are crazy. And that's really all I can tell you, because I might give away the whole story. 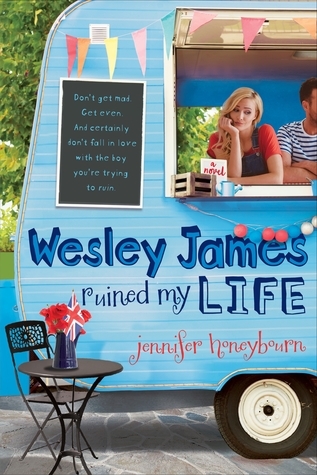 "'You read just as I do,' he said, 'walking back and forth across the pages.'" I really, really liked the writing. It was lyrical and pretty and I just wanted to keep reading this book. It's addicting. Part of what kept me going was wanting to know why everyone has been FREAKING OUT about this book, and the other part was that I was engrossed and the writing pulled me in and I liked the story and it kind of made my head hurt. Also, there were these...fairy tales, of sorts, throughout the book. They were completely unexpected, but they were really cool and I liked them. "He looked at you like you were the brightest planet in the galaxy." "The story is supposed to have a happy ending." We Were Liars gives you a peek into what it's like to live in a family that has status and is rich and kind of crazy and crumbling into pieces. It's elegant and messy and delicate and there's just something about this book. Did I love it? I don't know. I don't know anything. We Were Liars is just a complete and total and utter whirlwind full of twists and turns that you just don't see coming (or at least I didn't). And whether or not you read it is, obviously, completely up to you. This is just one of those things that you need to read yourself to understand what the hell I--and everybody else--am saying. That's it. That's my review. And by the way, it may have been a lie. Did I love it? I don't even know. Would I reread it? You betcha (and for REASONS). Would I purchase it? I don't NEED it on my shelves, but maaaybe. Who would I recommend it to? I don't think I'd say no to anyone. Thanks for reading this with me!! I haven't written my review yet because I also don't know how I feel about this book. I loved the writing but don't know if I loved the mindfuck or not. I was totally surprised, but at the same time I've read some books with similar twists and they usually piss me off. It's sort of like having it end with "it was all a dream". I don't know, I guess I just feel complicated about the twist! Love your review though! Great book. Surprising end. Couldn't put it down. All the characters are very likeable. This book is a wonderful summer read. This was one searing book. I didn't take my eyes off it until I was done. Just read it! Unforgettable.